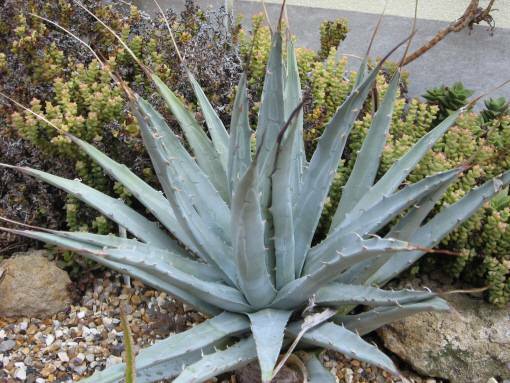 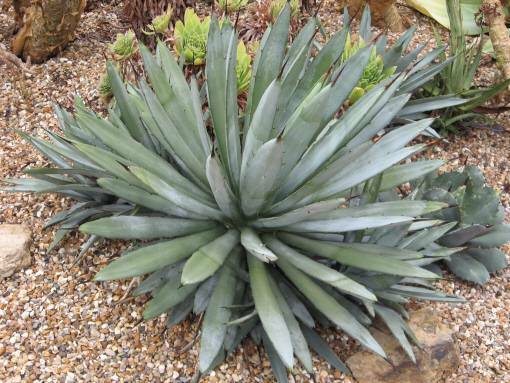 This plant has been at Hollygate for many years now and arrived labelled as agave nigra. 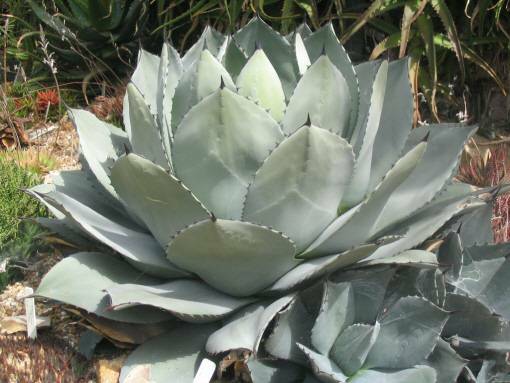 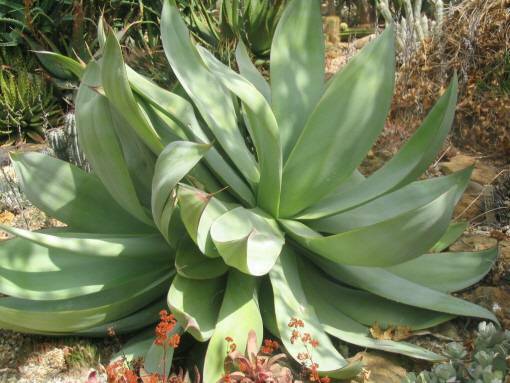 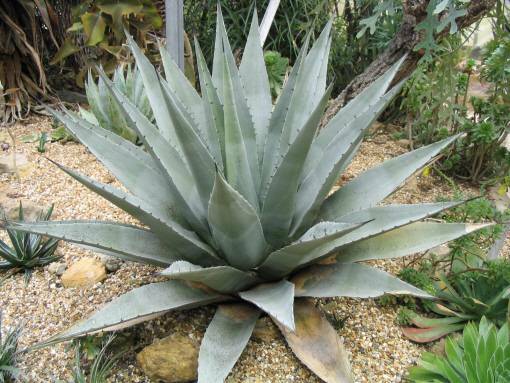 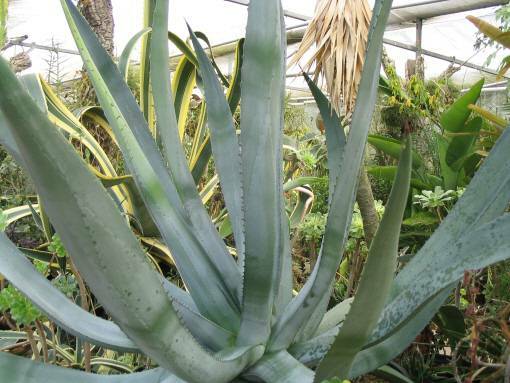 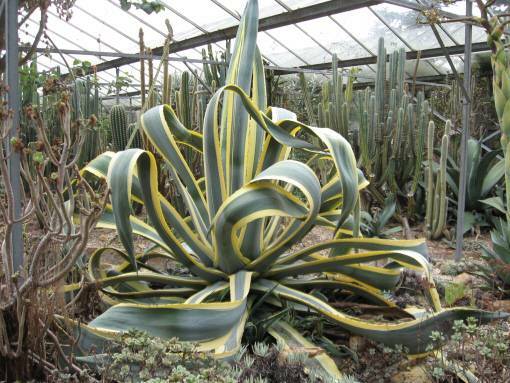 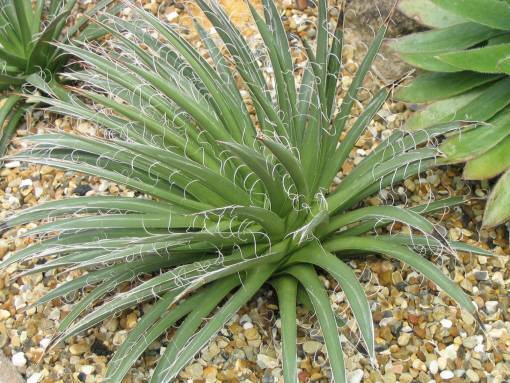 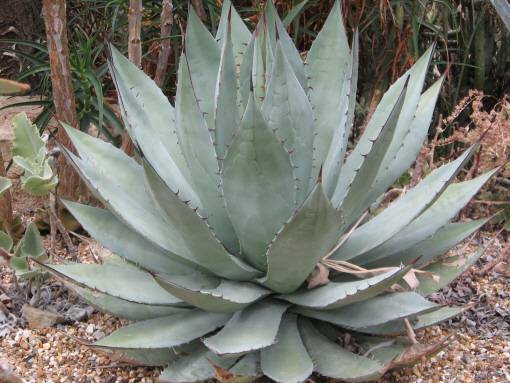 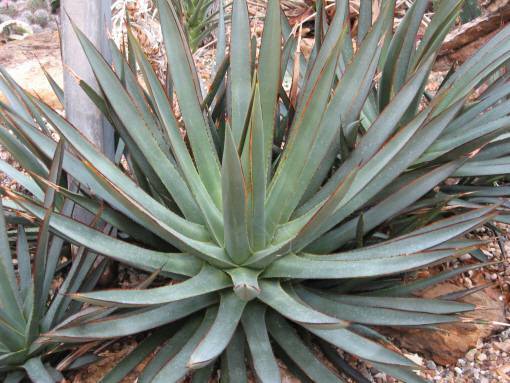 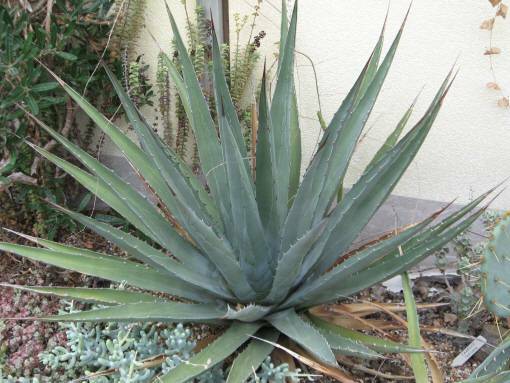 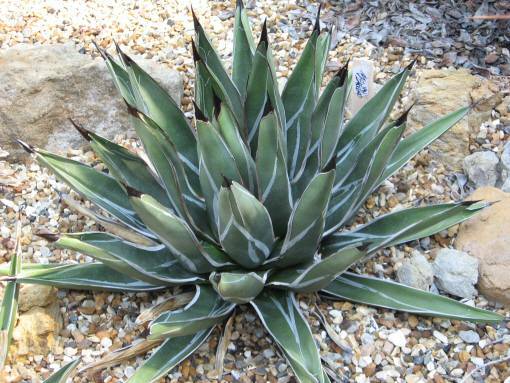 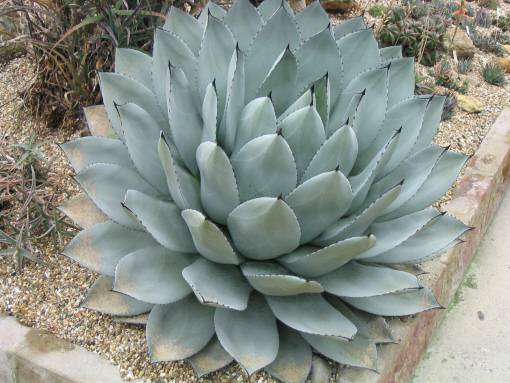 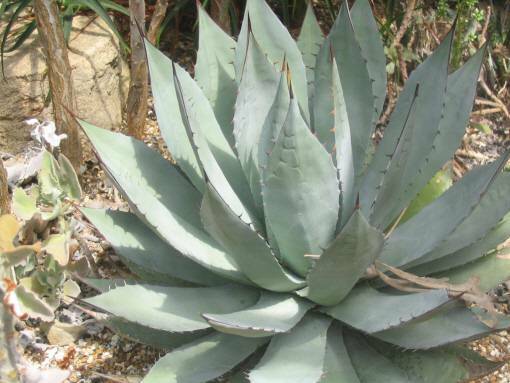 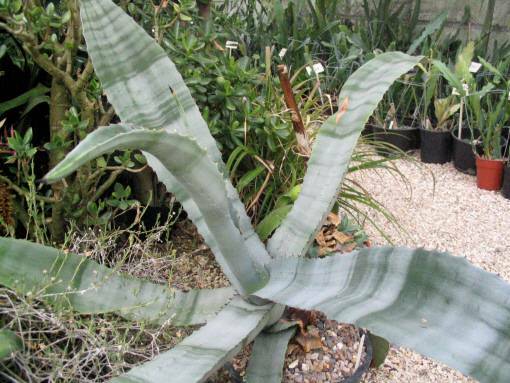 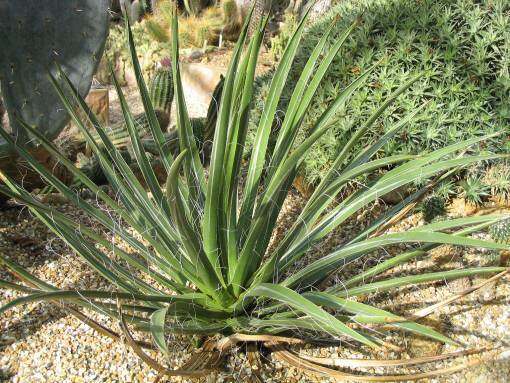 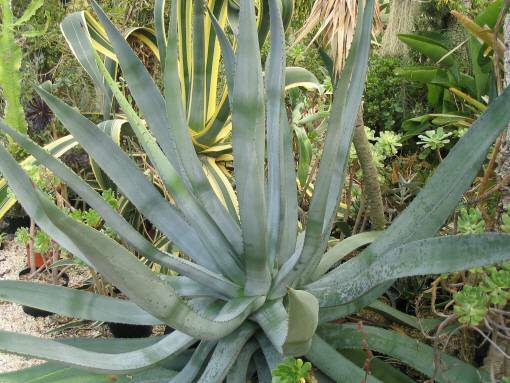 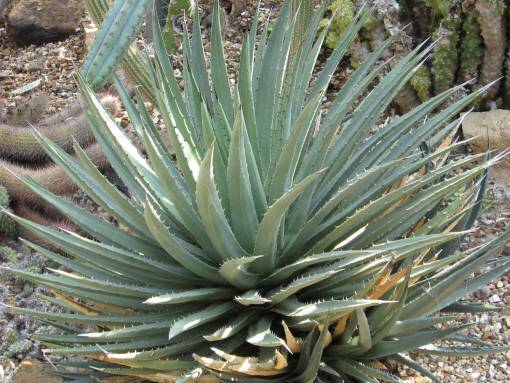 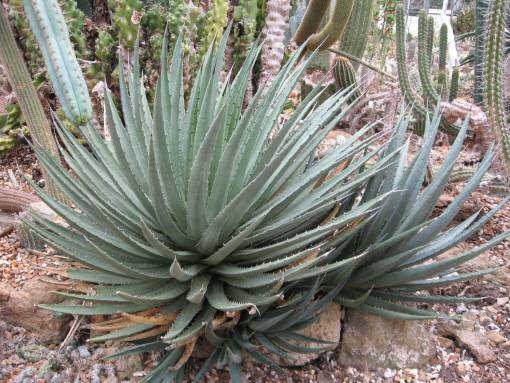 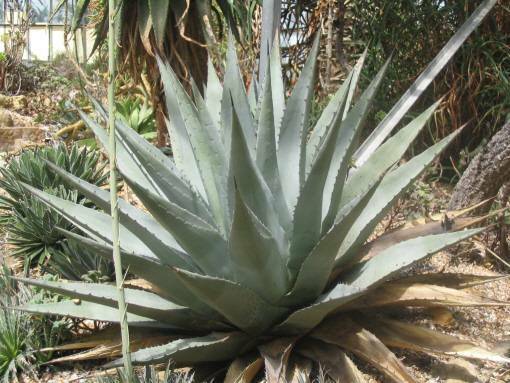 This term is generally accepted nowadays as referring to hybrids between agave victoriae-reginae and agave asperrima. 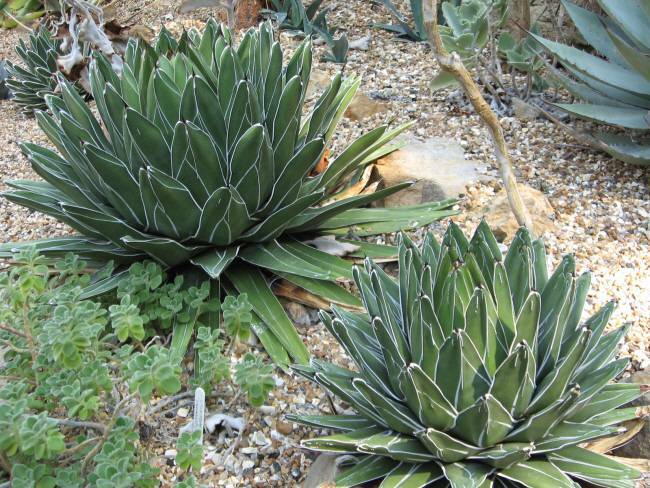 In April 2007 in Succulenta, the magazine of the Belgian and Dutch Succulent Society, there appeared an article by Alsemgeest,van Roosbroeck and Walderveen describing the four major forms of agave victoriae-reginae, based on studies of these plants whilst travelling through their natural habitat. 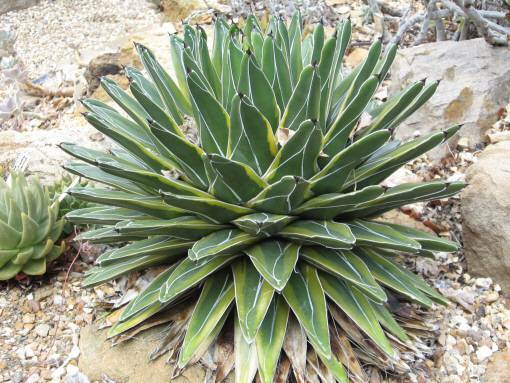 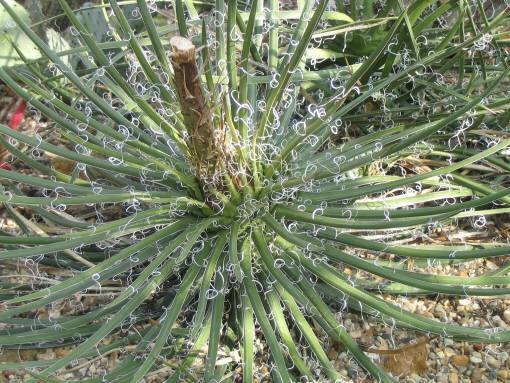 The form 'viridis', first described by Breitung in 1968, is found in the Saltillo area and considered to be a hybrid between the fernandi-regis form of agave victoriae-reginae and agave lechuguilla. 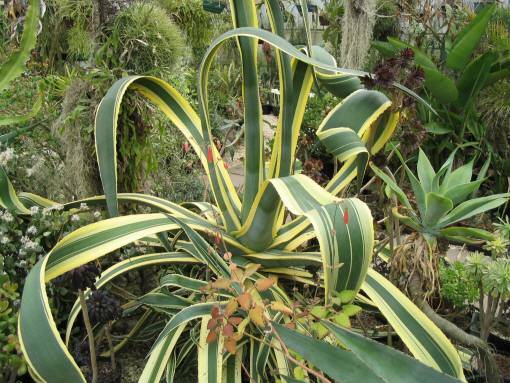 These plants lack the characteristic markings of other forms of victoriae-reginae. 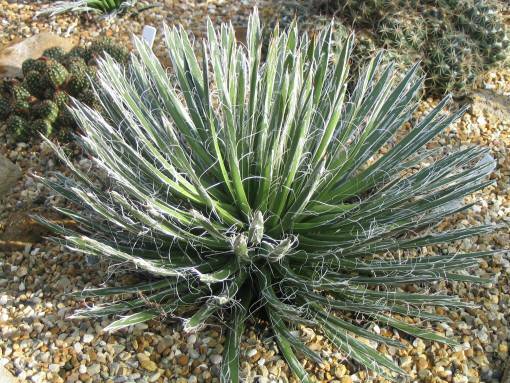 The Hollygate plant appears to be this form.